The ruling came down during the classic 5pm Friday news dump, but there was no reason to hide it. The NCAA granted Justin Fields’ waiver request, making the Buckeye quarterback eligible for the 2019 season. The ruling was expected, but until it happened, there was always a concern on the part of Ryan Day and Ohio State. The importance of this ruling became even more intense upon Tate Martell’s transfer, but now is time for a sigh of relief. We will see if they’ll get to the four quarterbacks that Day prefers, but for the moment he is happy to be at three — or at least relieved. I asked him their plans for the quarterback reps in the spring if they had not yet received a ruling, but now he doesn’t have to worry. With Fields now being as eligible as anybody else on the team, the quarterback battle can begin. Had Day not known, more practice reps could have gone to redshirt freshman Matthew Baldwin. The only live scrimmage reps that Baldwin has received against the first or second defense came in bowl practice last season. He needs as much experience as he can get. Fields, on the other hand, played in 12 games last season and did as much as a typical backup quarterback. Where Fields is ahead in the experience department, however, he is behind in the playbook. Baldwin has the advantage there, but now that Fields is good to go in 2019, he will receive the same opportunity as Baldwin in the quarterback competition. 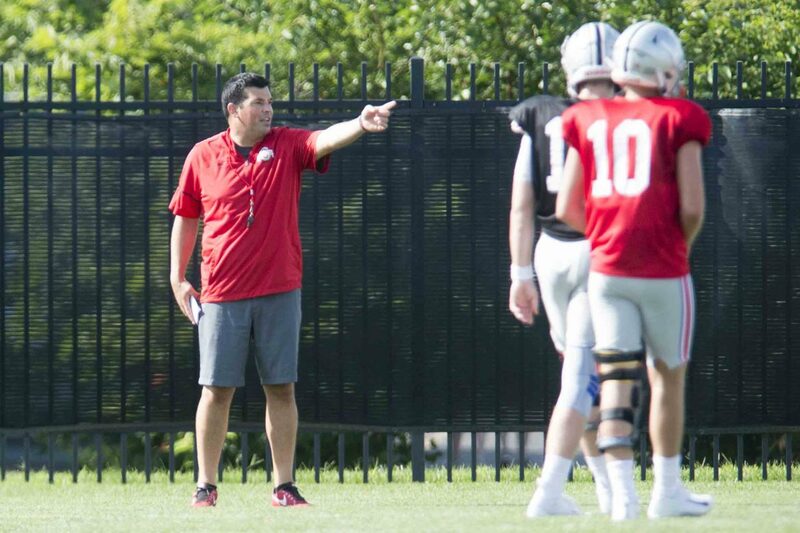 This ruling has allowed Ryan Day and quarterbacks coach Mike Yurcich to gather as much information as possible this spring in order to make a decision on their starter sooner rather than later. They can then put the proper offense together around him. Unless things are just too close to call, of course. In which case the drama can continue right on through until fall camp. 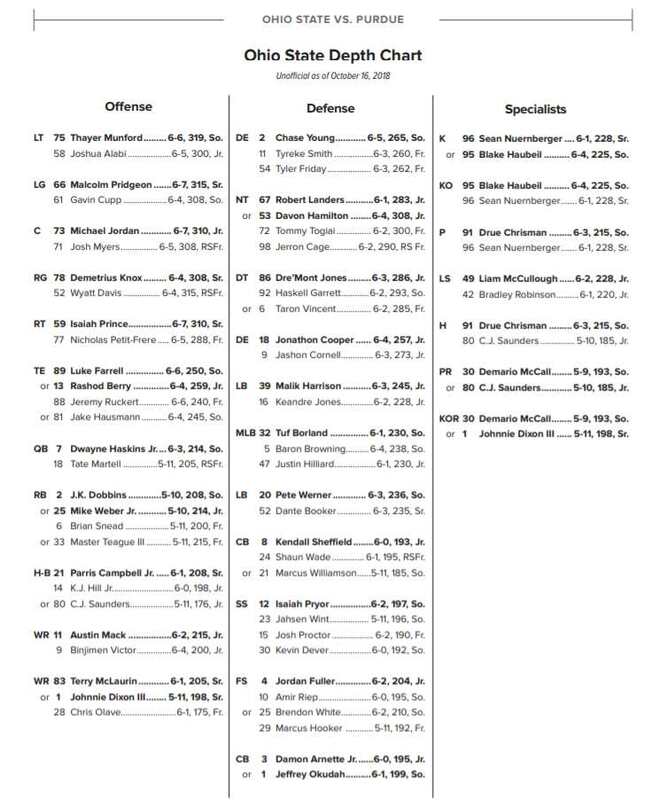 And given what happened last year with Joe Burrow and Dwayne Haskins, maybe it would be best for Day and company to make sure things stay close for the time being. offensive playbook. If Fields is a quick study, he probably starts. I would not count Baldwin out. By all accounts last year the WRs were a LOT more impressed with him than with Tate. He can throw the ball anywhere you want it and on a rope. That being said let the best man win! I just hope it becomes a very difficult decision for the coaching staff. That will mean it is good news for the fans, the team, and Buckeye Nation. Either that or our QB situation is a dumpster fire. I’d say PROBABLY your assessment given that Fields did well on the field for Gawja last year but until you see ’em play with your players you just don’t know.